Clifford Winston argues for this in the NYT. For much more, see our symposium with Winston and many others. It’s been a great symposium. Many thanks to all of our outstanding contributors! This Symposium demonstrated blogging’s potential for productive intellectual discussion of an important current topic. We expect to have more such virtual conferences. We’ll have a wrap-up tomorrow of all of the posts here. I will offer some reactions after I’ve had time to absorb the volume of ideas presented. In the meantime watch this space for more Truth on the Market. As we approach the end of this Symposium, I am struck by how much consensus exists on this subject. Of course, we are not conducting this exercise under the auspices of the ABA. Nevertheless, there is sufficient intellectual backing for a major push to begin the deregulation of legal services. Despite warnings that this is a bad time to consider such action, I think that there are reasons why this is a very good time to proceed. Contrary to popular wisdom, the number of employed lawyers has expanded through the recession, if one is to believe the results of the CPS household survey. But the employment in legal services firms has declined according to the BLS establishment survey. This is consistent with Larry Ribstein’s view on the decline of Big Law. The number of lawyers is growing slowly, but they are not having as much fun as before and are therefore less likely to come to the defense of their guild. Cliff Winston and I think that the best way to proceed is through a variety of different state experiments. Some states could allow bar exams for persons who have not attended law school or who have subscribed to on-line law school programs. Others could offer a variety of different exams for different prospective specialties. Still others could repeal their unauthorized practice of law prohibitions. Others could allow non-lawyers to own legal services operations. Still other variants could be tried, including total deregulation. Let’s see what works – and not only in the United Kingdom. My first post discussed one primary impediment to deregulating all the lawyers – which is the current system of legal regulation of lawyers. Even if one agrees that deregulating all the lawyers may be the ultimate goal, this still leaves the question of how best to achieve this result. Deregulating all the lawyers may not be the first thing we do. One plausible candidate is fixing intellectual property protection for law. This view is based upon the assumption that the best way to achieve the goal of deregulating all the lawyers is to create incentives for entrepreneurs to produce new and innovative legal information products. As noted in my earlier post, innovation and entry by entrepreneurs into the legal information market can be a powerful force that weakens of the economic and political power of those whose interests are aligned with maintaining the current regulatory regime. One result of this process is that deregulation becomes more likely. This dynamic is why I love Virginia wine, even though I never drink it. Creating incentives for entrepreneurs to innovate and enter requires a mechanism that allows them to appropriate a return to their investments. Intellectual property rights can be an essential mechanism through which this occurs. Indeed, intellectual property rights can effectively protect many innovative legal information products. However, in several important cases, legal information is subject to what can be described as a form of legal exceptionalism that results in weakened intellectual property rights. In general, the availability and scope of intellectual property rights are limited so that the costs of restricting the use of already produced information do not exceed the benefits associated with the marginal incentives to create the information. Intellectual property rights for law and related works seem to be further limited because of heightened concerns regarding use costs that are specific to legal information. Perhaps the best example of legal exceptionalism is the legal treatment of the privately produced model building codes in Veeck v. SBCCI, 293 F.3d 791 (5th Cir. 2002, en banc). In this case, Veeck posted SBCCI’s copyrighted model building codes on a website in violation of a license agreement that prohibited copying or distributing the work. The court held that the copyrighted code text entered the public domain when adopted as law by several local jurisdictions. Through SBCCI retained copyrights to its model codes, they could not enforce them against Veeck, who identified the posted SBCCI model codes as the building codes of two municipalities. Current copyright law precludes copyright protection for any work “prepared by an officer or employee of the United States Government as part of that person’s official duties”. Under this definition, court opinions written by federal judges, congressional bills and statutes, and federal regulations are ineligible for copyright protection. Courts have applied similar rules to state legal materials, including state judicial opinions, statutes, and regulations. These rules assume that the use costs of intellectual property protection outweigh gains from improved private incentives to produce model laws. Copyright law does not explicitly preclude copyright for model codes and other privately produced laws. However, the court’s holding, by elevating due process concerns with public access to the law over providing economic incentives to produce model codes, effectively extends this prohibition to privately produced model codes and laws that have been adopted as law. Protecting due process concerns does not require precluding copyright protection for privately produced works adopted as law. Broad fair use privileges for those bound by the laws or codes could address these concerns while simultaneously protecting model codes from appropriation by competing commercial interests and other jurisdictions. Restrictive licenses can also serve to appropriately balance the use-creation tradeoff by clarifying parties’ expectations regarding permitted uses and pricing of the copyrighted model law. As part of these licenses, jurisdictions that adopt privately produced and copyrighted model codes could alleviate due process concerns by authorizing use by citizens bound by the law while preventing reproduction for other purposes. Courts could require similar licenses to be granted by those wishing to file briefs and other potentially copyrightable documents. The court’s holding in Veeck unnecessarily limits the ability to use these mechanisms by effectively eliminating copyright protection rather than retaining the protection and using the mechanisms discussed above that would permit limited public use and mitigate any due process concerns. In doing so, the courts holding, along with other similar forms of legal exceptionalism unnecessarily weakens incentives for legal innovation and can result in less pressure to deregulate all the lawyers. Attorneys earn excess rents by maintaining barriers to entering the legal profession. Legislation and regulation expanding the scope of work that only an attorney legally can perform is an obvious way in which attorneys attempt to expand or protect the market for their services. The FTC has a long history of trying to convince state legislators and courts that expanding the scope of the practice of law is likely to have unjustified anticompetitive consequences. A more subtle way attorneys limit competition for legal services is by interpreting existing legislation and rules in a manner that expands the universe of practices that are considered “unethical” or “unauthorized practice of law.” In this symposium, I will address the application of antitrust law to this conduct. The Legal practice no stranger to antitrust scrutiny. Indeed, in several seminal antitrust cases the Supreme Court has grappled with the tension between a national policy in favor of competition and states’ abilities as sovereigns to regulate the practice of law. 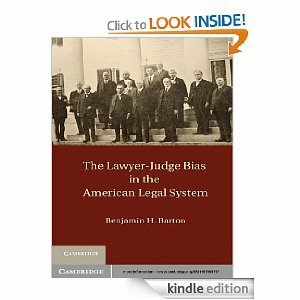 See e.g., Bates v. State Bar of Arizona; Goldfarb v. Virginia; Hoover v. Ronwin. Taken together, what these cases make clear that entry barriers erected directly by the state supreme court acting in its legislative capacity are ipso facto exempt from antitrust scrutiny as acts of the state sovereign. Agreements among private attorneys (e.g., via a private state bar association as opposed to a mandatory state bar) to set competitively sensitive variables (like price and advertising), on the other hand, clearly are not unless both the “clear articulation” and “active supervision” tests from Midcal are met. One area that has yet to be addressed, but which I think merits closer attention, is the use of ethics opinions or threats of enforcement for violations of ethical codes to limit competition in the market for legal services. Imagine a firm that uses a website to match attorneys with potential clients. The site works like this: you post on the website that you’re looking for someone to draft partnership agreements under Virginia law for your new business; attorneys who have paid to participate in the platform see your request, and, if interested, post a reply describing their qualifications and in some cases price. The website make money from attorney subscriptions. Recently, however, the state bar ethics committee issued an ethical opinion that participation in this platform would violate the state bars’ ethics rules by constituting and illegal payment to a non-attorney (the web site) for a referral. Now, as an attorney in State X, you have a dilemma. The website has been quite useful in helping you build your practice, but if you continue to participate, you risk being sued – either by an arm of the state bar, or a private attorney acting to protect the integrity of the legal practice – for violation of ethical rules. The possible penalties (in addition to legal and opportunity costs to address any ethical challenge) could include fines, suspension, or even disbarment. In this case, the state has not issued a new rule or regulation that explicitly expands the legal monopoly. Instead, a group of attorneys (who most likely do not work full time for the state bar) have merely opined on what the state ethics rules require. This opinion, however, has the practical effect of discouraging use of the online legal platform by threating legal sanctions. In this manner, it has a clear anticompetitive effect of reducing consumer choice and retarding competition among attorneys. Established attorneys with large client bases and existing referral systems operated by local bar associations, moreover, are likely to be the primary beneficiaries of this new opinion. The interesting antitrust questions that arise in this scenario are (1) whether the state action doctrine protects this conduct; and (2) does this conduct constitute a restraint of trade. Turning to the state action issue, the ethics committee of a state bar is not the sovereign, so its actions are not ipso facto immune from antitrust scrutiny. Thus, a necessary condition for state action exemption is that the ethics committee was acting pursuant to a clearly articulated and affirmatively expressed state policy. Less clear, however, is whether this is also a sufficient condition for state action protection. I argue that it is not, and that in addition the ethics committee must show that the state approved its decision to adopt an interpretation of the ethics rules that was likely to have anticompetitive effects. Support for this position can be found in the FTC decision, In re North Carolina State Board of Dental Examiners (NCDE), (Feb. 8, 2011). NCDE concerned a state dental regulatory board composed of private dentists that had sent cease and desist letters to non-dentists who performed teeth whitening procedures. The Board acted on its interpretation that these non-dentists were engaging in the unauthorized practice of dentistry. The Dental Board, however, lacked the authority to enjoin anyone from teeth whitening; its statute only allowed it to file a complaint in state court alleging unauthorized practice of dentistry. The Board claimed state action exemption, arguing that as a state subdivision it needed only to show that it satisfied the clear articulation prong of the Midcal test. The FTC disagreed, and held that to enjoy state action protection the Board also must show that the state actively supervised its decision to issue the cease and desist letters. (Id. at 9-11). [I]f a state permits private conduct to go unchecked by market forces, the only assurance the electorate can have that the private parties will act in the public interest is if the state is politically accountable for any resulting anticompetitive conduct . . . . Decisions that are made by private parties who participate in the market that they regulate are not subject to these political constraints unless these decisions are reviewed by disinterested state actors to assure fealty to state policy. Id. at 10-11. The Commission went on to find that the state of North Carolina had not supervised the Dental Board’s decision to classify teeth whitening as the practice of dentistry, thereby restraining competition in the market for teeth whitening, “was subject to any supervision, let along sufficient supervision to convert the Board’s conduct into that of the state of North Carolina. “ Id. at 17. The reasoning in NCDE is equally applicable to expansive interpretation of rules or statutes to limit competition in legal services. For example, in the above hypothetical, the ethics committee’s opinion should not enjoy state action protection unless the committee can show that the state reviewed and approved its decision to limit competition. True, this rule will impose costs, but as I (along with Bill Kovacic) have argued elsewhere (see 90 B.U.L. Rev. 1555, 1597 (2010)) this is the price a state must pay if it wants to circumvent the national policy in favor of competition. In deference to federalism, Parker and its progeny allow states to adopt policies that contravene the antitrust laws. But regulatory bodies comprising unelected market participants are not sovereign, so deference to their anticompetitive policies does not vindicate the federalism principles that animate the state action doctrine. What’s more, these bodies are likely to pose a greater risk to competition than elected officials, who at least are politically accountable for the anticompetitive policies that they pursue. Finally, I argue that ex post review by a state court of decisions by ethics committees that expand the definition of the practice of law or that suggest some new practice is unethical should be insufficient to constitute active state supervision. The active supervision prong of Midcal requires the state to approve prices set by a private cartel before they go into effect, so logically it should also require the state to approve ex ante an ethics committee’s decision to interpret ethical rules in a manner that is likely to restrain competition in the market for legal services. Even if the ethical committee’s actions are not protected by the state action doctrine, we must also address a second question: does the ethics committee’s opinion constitute a restraint of trade under the antitrust laws? In Schachar v. Am. Academy of Ophthalmology, 870 F.2d 397 (7th Cir. 1989), an ophthalmologist challenged the AAO under the antirust laws for opining that radial keratotomy was an experimental procedure. Judge Easterbrook held that this could not be a restraint because although the AAO’s opinions carried weight due to its reputation, it had no power to prevent anybody from performing radial keratotomy. Could the same issue exist for my hypothetical? Is an opinion by the ethics committee no different from that of a trade association or an expert body? I argue no, because unlike that AAO in Schachar, the ethics committee is acting under the color of law, which provides a reasonable basis for attorneys licensed in State X to believe that they risk state sanction if they fail to heed the warning. Again, NCDE is illuminating. Following the Commission’s state action decision, and after a full trial, the ALJ found that the Board’s conduct related to non-dentist teeth whiteners constituted an unreasonable restraint of trade. (see http://ftc.gov/os/adjpro/d9343/110719ncb-decision.pdf). He based this finding on two grounds: the nature of the Board’s conduct coupled with its power to exclude competitors, which flowed from the fact that it was a state agency; and evidence that the Board’s actions actually caused some non-dentist teeth whiteners to exit the marketplace. It would be hard to distinguish a state bar’s ethics committee’s expansive interpretation of an ethical requirement from the facts in NCDE; both regulatory bodies have the power to exclude competition because their opinions, unlike those of a private association, carry the possibility of legal sanction for non-compliance. The European Commission, in particular the Directorate-General for Competition, has shown interest in promoting competition in the market for legal services since the early 2000s. Some countries such as the United Kingdom have taken this matter seriously. After a long review process, the British government has recently implemented a new regulatory set-up for legal services in order to foster competition, innovation, consumer protection as well as a so-called accountable regulatory enforcement (under the Legal Services Act 2007). These reforms were prepared by the Clementi report (published by December 2004) which argued for alternative business structures (allowing nonlawyers to go into business with lawyers as well as nonlawyer’s ownership of law firms including the possibility of public trading of shares in law firms), an independent agency to deal with disciplinary complaints (rather than leaving it to self-regulation; currently the Legal Ombudsman and the Office for Legal Complaints), and greater freedom for legal service providers to compete (under the supervision of the Legal Services Board operational since 2010). The reform failed to suppress the distinction between solicitors and barristers, but the new alternative business structures could in the future further contribute to blur this distinction. It is probably too early for a full-fledged assessment of the impact of these legal reforms on the market for legal services in the United Kingdom, but the general sense seems to be that they have modernized the institutional framework in the right direction while making the market more competitive just in time for the 2008 recession. I do not know of any empirical study on the effect of these reforms on legal fees but it would be important to know whether or not more competition and plausibly a better regulatory setup have reduced average fees. Not all countries have moved in the direction of deregulation. Until recently Spain had no bar exam. Law graduates simply needed to register with the local bar at the end of their degree (of five years in the past, now four years). The consequence is that Spain has currently one of the highest numbers of lawyers in per capita terms (slightly behind the United States). However, a large proportion of these “lawyers” are actually not practicing law, but merely registered with the local bar. With the excuse that Spain was different from the other EU Member States, the Spanish government has introduced a bar exam in 2007, effective from 2011. At this stage, we do not know what the passing rates will be, but we can easily see the new bar exam being used to reduce entry to the profession under the pretense of improving quality. Another example is Portugal. Law graduates are accepted for a training period at the end of which there is a (national) bar exam with a significantly high passing rate. Due to an expansion of legal education in the mid 1990s, the number of lawyers has increased considerably in the last decade or so. As a consequence there has been a pressure for more competition in a market traditionally characterized by strong cartelization and considerable rent-seeking. The response from the national bar was simple: introduce a new (national) bar exam to enter the training period with a passing rate of less than 10%. There is no doubt that such change has satisfied the “incumbents.”!